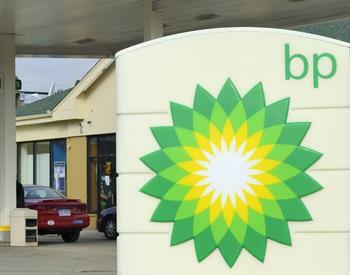 BP announced on Tuesday that it has invested $20 million in Israel’s StoreDot, a start-up developing technology that has the potential to charge electric cars as quickly as refilling a gasoline tank. StoreDot’s lithium ion technology -- called “flash batteries” -- are powered by organic compounds and nanomaterials. The company claims the batteries can allow an electric vehicle to travel more than 300 miles after a full charge. The technology will be deployed in smartphones as early as next year, and BP’s investment will help bring the technology to vehicles. The oil company said it believes ultra-fast battery charging will be key in accelerating the adoption of electric vehicles. Currently, consumers must wait between 30 minutes to 12 hours to charge a typical electric car. The amount of time it takes to charge an EV depends on several factors, including the size of the battery and the speed of the charging point. "Ultra-fast charging is at the heart of BP's electrification strategy," Tufan Erginbilgic, chief executive of BP's downstream business, said in a statement. "StoreDot's technology shows real potential for car batteries that can charge in the same time it takes to fill a gas tank." “The combination of BP’s impressive presence and StoreDot’s eco-system of EV partnerships enables faster implementation of ultra-fast charging stations and could allow a better charging experience for drivers,” Myerdorf said. Last September, StoreDot received $60 million in funding from Mercedes-Benz owner Daimler to develop ultrafast mobile charging technology using the batteries. Previous efforts by BP to reduce greenhouse gas emissions in its operations have included installing over 70 EV charging stations at retail sites in several countries and investing $5 million in FreeWire, a startup that produces mobile fast charging systems for electric vehicles. BP is planning on testing its Mobi Charger at select locations in Europe over the course of the 2018.